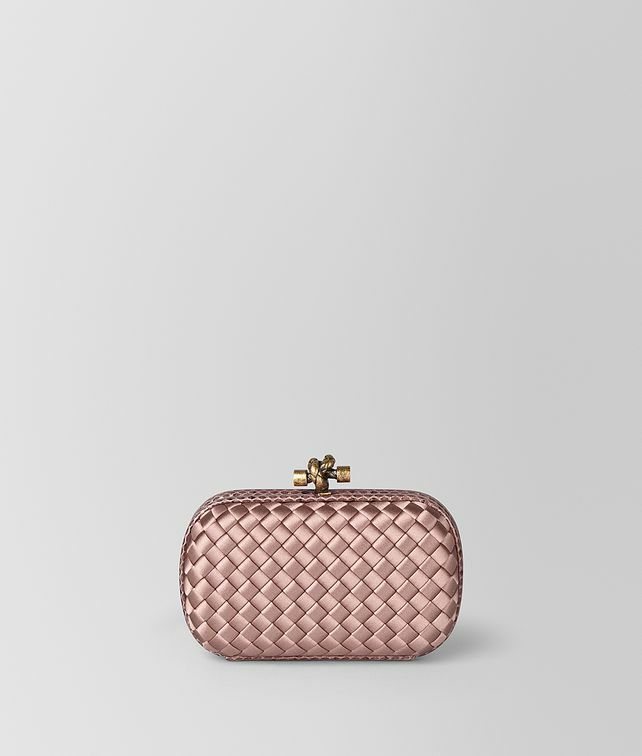 The Knot minaudière is one of Bottega Veneta's most iconic shapes. This fresh interpretation merges three types of craft in the Intrecciato Imperatrice workmanship. Hand-woven nappa leather graduates to exotic ayers, while a panel of woven, hand-rolled leather completes the look. Finished with a suede-lined interior and brunito knot fastener engraved in signature intrecciato.